In our last typography class we were tasked with creating a quote book which would marry hand lettering and photography with type. For this assignment, I chose to combine two of my favourite things — baking and prison movies. 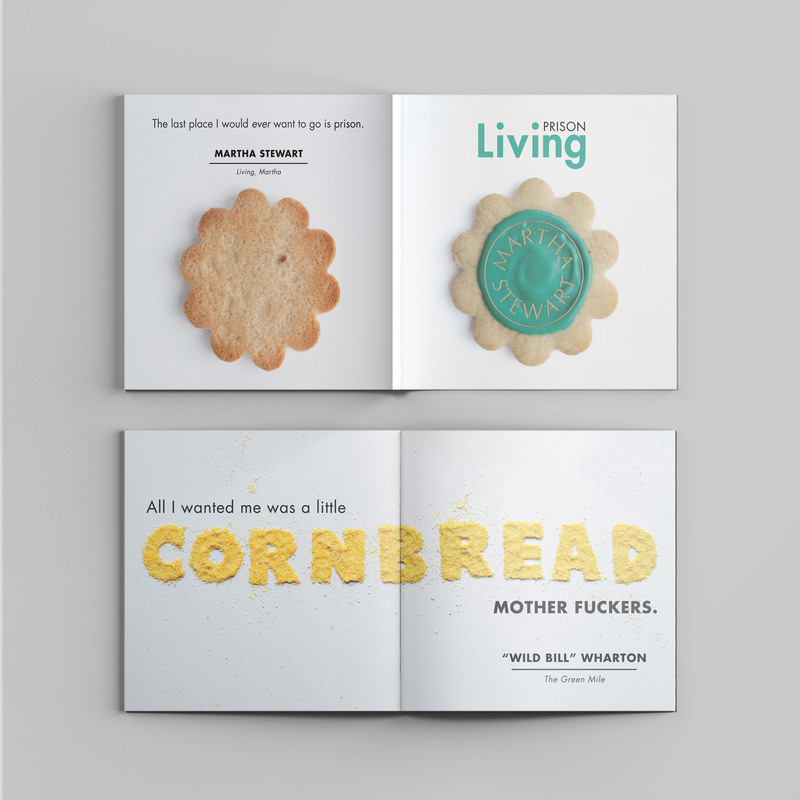 Throughout the book, I've created quotes from movies like The Shawshank Redemption, The Green Mile and The Great Escape out of cookies or with ingredients.